Happy Earth Day from the cuteness of kawaii! Happy Birthday to Sanrio's Pom Pom Purin! Sanrio Opens A Cafe In Hawaii! Groovy Japanese Fashion Commercial from 1967! Happy Friday! Enjoy this cute little video from Sanrio commemorating Hello Kitty's 35th Anniversary. Have a super kawaii weekend. Happy Wednesday! Here's a fun little video we found of super cute bling featuring Sanrio's Hello Kitty for cell phones and other gadgets. So cute! Enjoy! 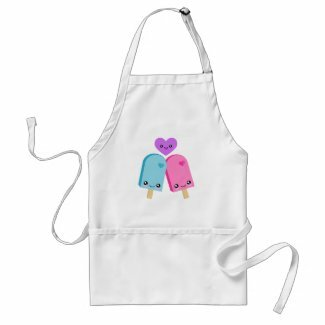 Something yummy is in the kitchen, and it's you wearing one of our adorable kawaii aprons. Here's a fun little video we came across that features a variety of Japanese fashion styles! I have the pink Chuck Taylors in :13 of the video. I love 'em! Enjoy. Today is the 40th celebration of Earth Day! This annual event was instituted to help raise awareness about our environment and the issues surrounding it. You can make every day Earth Day by doing these simple things that add up to a happier planet. Whenever you see litter on the ground, pick it up and throw it in the trash. Unplug chargers for electronic devices when not in use. Even if a device is not connected, the charger still draws electricity. Bike or car pool when possible. Turn off the television when you are not watching it. Recycle everything you can like paper, cans, glass, cardboard, electronics and plastic.Turn off the water while you are brushing your teeth. 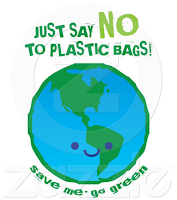 Just say no to plastic bags! Bring your own reusable canvas tote bags with you whenever you go shopping. Happy Earth Day! Help keep our planet kawaii. 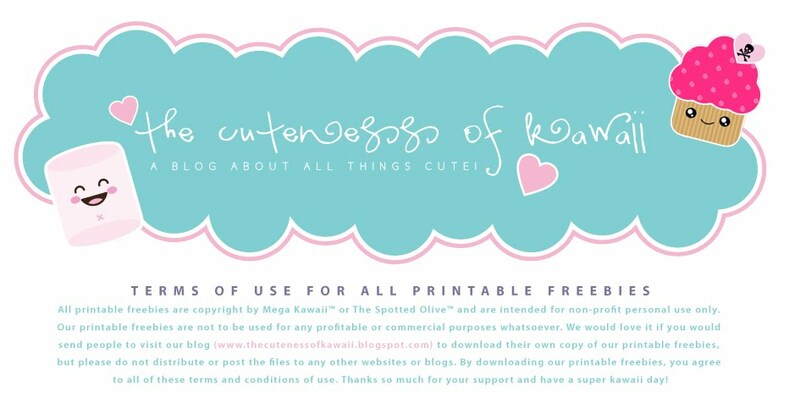 Have you seen our free kawaii printables? We have cupcake wrappers and a monthly calender to print out. Cute, fun and best of all free to our fans! Send a special birthday greeting with these adorable and sweet kawaii greeting cards from The Spotted Olive™ and Mega Kawaii™! 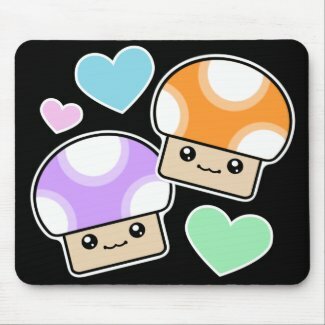 Add Some Happiness To Your Desk With Kawaii Mousepads! Dress up your desk or work area with a mega adorable kawaii mousepad from Mega Kawaii™ or The Spotted Olive™. These darling designs are sure to brighten up a drab desk and add a little fun to your work day. Have a super kawaii Sunday! Love her hair in this! This cute little Sanrio character is a a good-natured Golden Retriever who dreams of growing up and becoming a big dog. 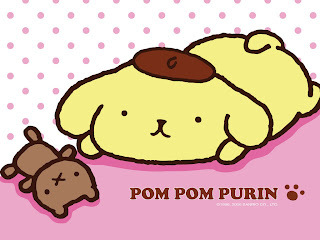 Purin spends most of his time napping or going on walks with his best friend, Muffin. He loves to drink milk and eat foods that are nice and soft, like pudding! Happy Birthday, Purin! So kawaii! Wow! How cute is this? I just read on the official Sanrio blog that they opened a cafe on O'ahu, Hawaii in the Pearlridge Center next to the Sanrio Surprises Boutique. The Sanrio Cafe had it's official opening on April 10th and has been very busy! Serving a tasty selection of drinks, sandwiches, pastries and salads inspired by it's kawaii characters. Sandwiches will have Hello Kitty's face baked into the bread and other Sanrio characters will be included in cakes, pastries and more. Visit the official Sanrio blog to read the article and see the super kawaii pictures. Make your back pack or jacket just a little bit sweeter with these oh so adorable kawaii button badges. Available in many sizes including tiny! You'll want to start sending snail mail again with these super cute kawaii paper goods designs from Mega Kawaii™ and The Spotted Olive™! Super darling kawaii designs on letterhead, stationery, note cards, invitations, postcards, greeting cards and more. You're sure to make someone smile when they receive a note from you on these adorable paper goods. Have fun! Here's another super darling Japanese commercial we found for pancakes starring Hello! Project's Tsujii and Kago. So kawaii! 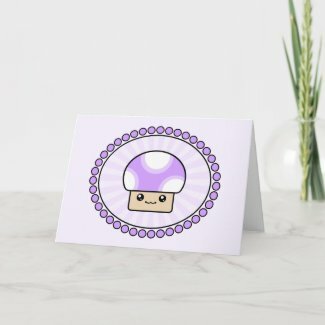 Chibi Birthday Card is sure to please that special someone on their birthday. Adorable classic anime girl with curls and bows in her hair. Super sweet expression! I found this video on youtube of some amazing Japanese fashion! Some really cool stuff and mega kawaii outfits. I actually have the same tights as the girl at :16 of the video! And I really want the wellies that are shown at 1:22. I have some kawaii ladybug wellies, but I am really loving the ones shown in the video. Have fun & enjoy! Wow! Check out this fabulous Japanese fashion commercial I found from 1967! It's very mod and some of the clothes are actually cute! I love it! Enjoy! 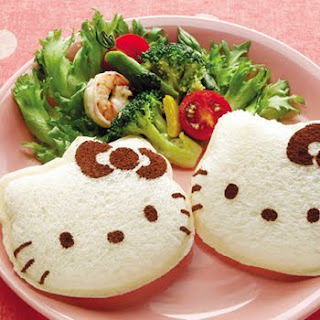 So cute and yummy, we love kawaii food. All kinds! Please enjoy this slide show of fun food from the users at Flickr. I came across this cute little ad for Go-Go Tea featuring dancing birds and kawaii sweets and thought I would share. As silly as it may be you can't help but smile when you watch it! Enjoy. Kawaii postcards are a quick and fun way to say hello. Make it personal and cute with one of these darling postcards. It's great to know a friend is thinking of you! 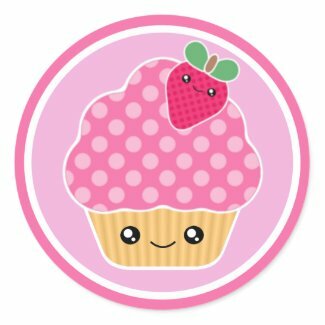 This super cute kawaii inspired birthday card design features Little Pinkie! Happy Birthday is written in Japanese on the front of the card and in English on the back. So ultra kawaii!! Precious chibi girl ready for a pool party with her swim cap and ball postcard. Even a swim ring to keep her afloat. Great for a girls pool party! Wonderful chibi postcards. This darling original illustration by The Spotted Olive™ features an ultra kawaii Japanese kokeshi doll with a vibrantly colored kimono and flowers in her hair. Super cute! This bright yellow toaster with darling little pandas is super kawaii, but the best part is it imprints a panda face on the toast! How fun is that?? 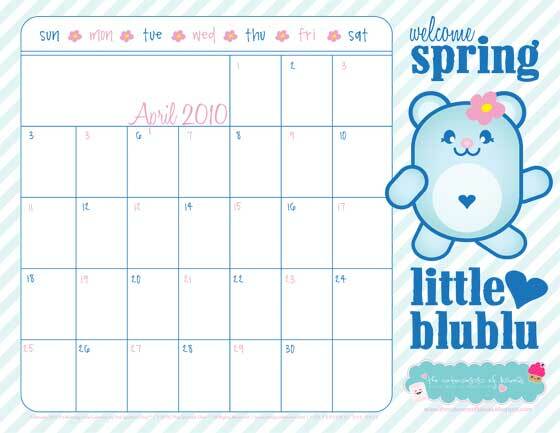 Thanks for stopping by and checking our our FREE kawaii printable April 2010 calendar by The Spotted Olive™! It uber kawaii with our Little BluBlu character. Perfect for welcoming Spring! The image above is a small version of the actual calendar. 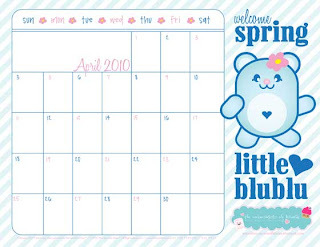 Download the 11" x 8.5" printable version of this calendar by clicking the following link: Free Kawaii April 2010 Printable Calendar! Print on LANDSCAPE setting and FIT TO PAGE on 8.5 x 11 paper. I found this cute little video from Sanrio for their Back To School 2007 promotion, but I thought it was super adorable for welcoming Spring! Enjoy.